Disclosure: I received free product and compensation for this project as a part of The Blueprint Social network. All thoughts and opinions are 100% honest and are that of my own. Are you the Chef in your house during the Holiday Season? Since tomorrow is Thanksgiving and Christmas is quickly approaching, I decided to take my apron and give it a little glam! 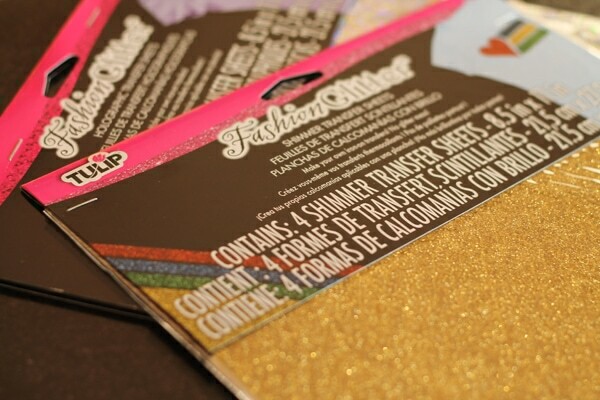 This project uses the Tulip Shimmer Sheets from the Fashion Glitter line. These are iron on transfers that are super easy to use! I used the Holographic Transfer Sheets for this project. 1. 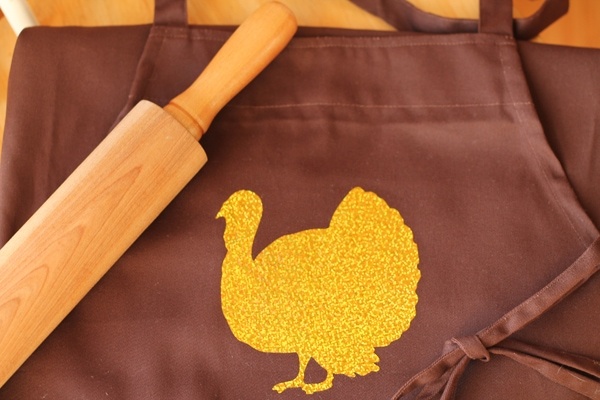 Find an image online or a stencil that you would like to put on the front of your apron. I found the Turkey here. 2. Because I used my Cricut cutting machine for this project, I used my Sure Cuts a Lot (SCAL) software to speed along the process. If you don’t have these tools, a stencil and an X-ACTO knife will work the same way. 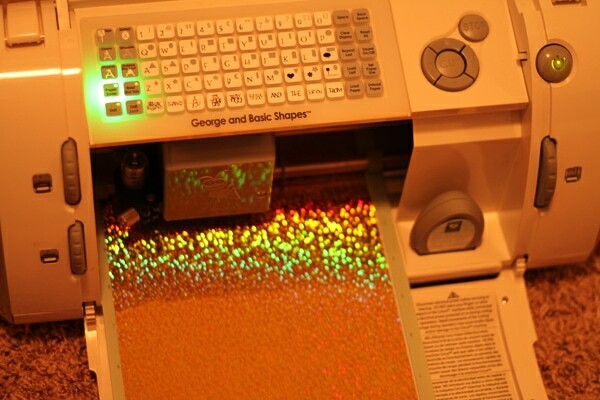 If you are using your cutting machine, cut the transfer paper to the size of your mat and make sure it is shiny side up. I was surprised at how well this did in my cutting machine. The lines came out perfect and it was super simple to do. 3. 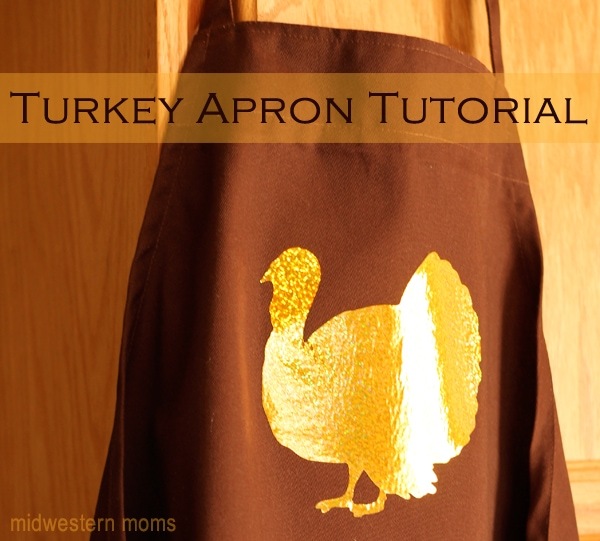 Place your image on a clean apron. Position it where you want it so that you can start the ironing process. 4. 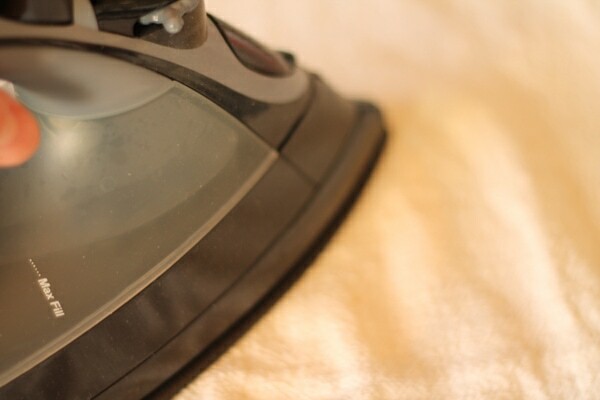 Place a thin tea towel (or kitchen towel) over the top of the image and iron over it. The instructions on the packaging says to press firmly with your iron over the image for 40 seconds. I did this for the entire image and then ironed over it a few times and it had set perfectly. 5. Follow laundry instructions per the packaging, which says to wash inside out on gentle cycle and air dry. I love how this project turned out and can’t wait to start using my other Tulip products, including the Tulip Shimmer Paints. For craft project ideas, be sure to follow the I Love To Create brands on Facebook, Twitter, and Pinterest! This is soooo cute! What a clever idea! Perfect for tomorrow! I love the shimmer sheets! Thank you! I had so much fun making it. I’m in love with these shimmer sheets! What a great idea. Happy Thanksgiving! So cute! 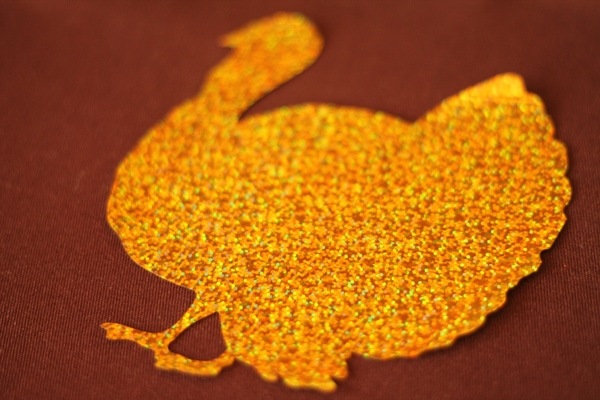 I love your big glitter turkey! Cute project. 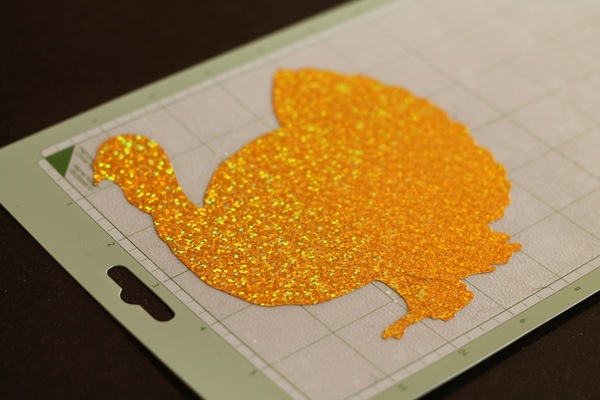 I love the blingy turkey – way to bring some glam to the big day!